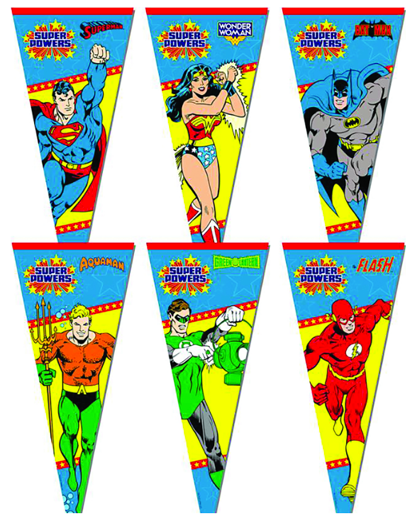 Show your solidarity for the classic Super Powers line with these new felt pennants, featuring artwork by the one and only Jose Luis Garcia Lopez (PBHN)! On sale February 2017! With so much love for the Super Powers line across various products, can we hold out hope for a new set of figures? Seriously considering this set, with hopes it'll further inspire additional Super Powers merch.